Andy Tan teaches violin and viola in Davis, California. He has played principal viola with the Camelia Symphony during the 2013-2014 season, the UC Davis Symphony during the 2010-2011 season, the Britten-Pears Orchestra at Aldeburgh Music Festival in the summer of 2010, and first violin in Stockton Symphony during the 2010-2017 seasons. 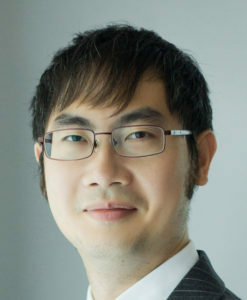 Andy encourages his students to take challenges and discover their potentials. He believes that teaching music is about nurturing a student’s learning behavior and psychological preparedness, since they are very important to a student’s mental development. Andy’s students actively perform with local musical ensembles such as the Sacramento Youth Symphony, Davis High School Symphony and Baroque Ensemble, and the UC Davis Symphony. 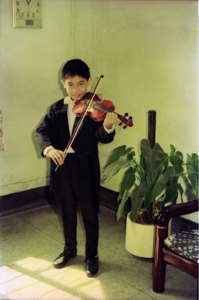 Andy began his violin studies at age 6 under the directions of Gu Yinglong and Zhu Xiongzhen, and gave his first public performance with the Guangzhou Youth Symphony at age 8. At age 13 he was awarded a full scholarship to attend the Xing Hai Conservatory of Music in Guangzhou, China. After immigrated to the United States in 1998, he continued studying with Diane Nicolaris and attended School of the Arts High School in San Francisco. Later he became a member of the San Francisco Symphony Youth Orchestra during the 1999-2002 seasons. 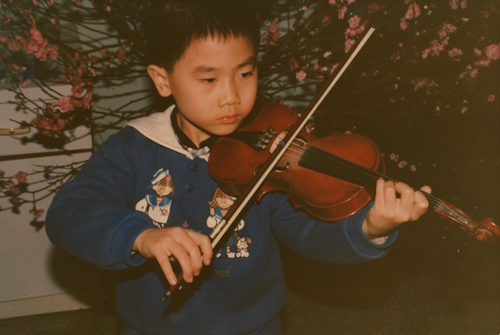 A graduate of UC Davis, he has studied composition with Ross Bauer, Kurt Rohde, and Mika Pelo. and studied violin/viola with Michael Sand, Dan Flanagan, and Ellen Ruth Rose. He has been a member of the American Society of Composers, Authors, and Publishers (ASCAP) since 2006. His recent composition “Sonata Breve for Cello and Piano” has been published by J.B. Elkus and Son. During the 2009-2010 season, he participated in John Adam’s composition masterclass and was a composer-in-resident of the Berkeley Symphony’s “Under Construction” concert series. Andy’s concert music has been performed by the Empyrean Ensemble, New York New Music Ensemble, Arianna String Quartet, UC Davis Symphony Orchestra, Berkeley Symphony, and Mercedes Gomez. Andy is an active composer and has been writing and arranging music for various productions in Los Angeles, Sacramento, and Vancouver, BC. Locally his film music has been featured in UC Davis Plant Science Department’s documentary “Out of the Past,” Coldwell Banker’s promotional videos, and Capital Dance Project’s summer series in 2016 and 2017 seasons.